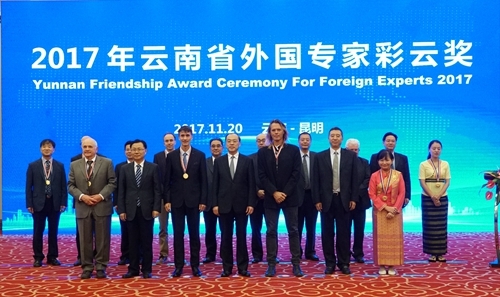 10 foreign experts have received this year’s Yunnan Friendship Award – Yunnan’s highest honor granted to a foreigner－for their contribution to the development of the province. 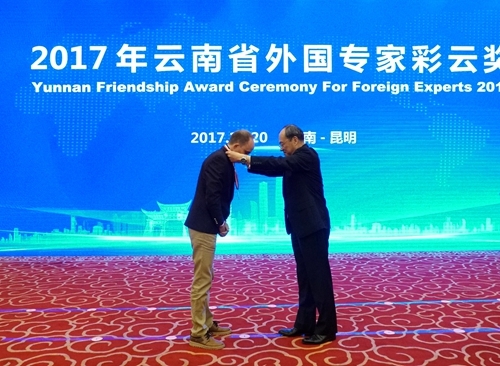 Yunnan governor Ruan Chengfa conferred medals on the winners at an award ceremony on November 20 in Kunming. He said that many foreign experts have come to work in Yunnan, and they have played an active role in Yunnan's economic and social development. The governor said that Yunnan will adopt more effective policies to attract foreign talent, support foreign experts to participate in scientific research and safeguard their legitimate rights and interests. Among this year's winners, some work in remote areas, some have taken part in major engineering projects and some work in the education and medical fields. 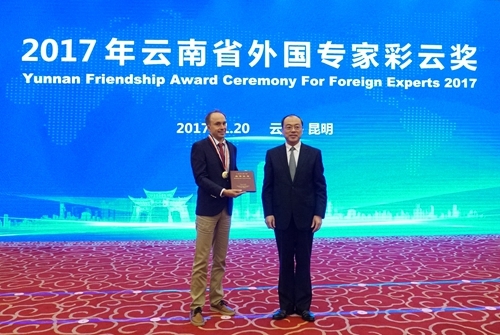 Prof. Kyle Warwick Tomlinson of Xishuangbanna Tropical Botanical Garden (XTBG) is one of the 10 award winners. He works in the remote Xishuangbanna, and works on tropical biodiversity conservation. 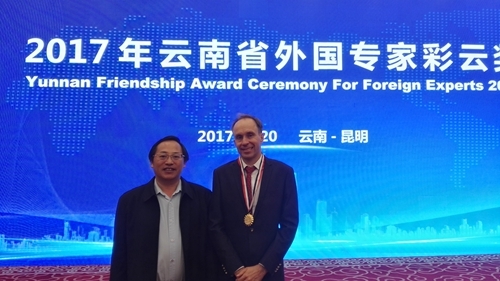 To attract more foreign talent to Yunnan and to facilitate their working and living, Yunnan has adopted a more open and inclusive policy for foreign experts in recent years.